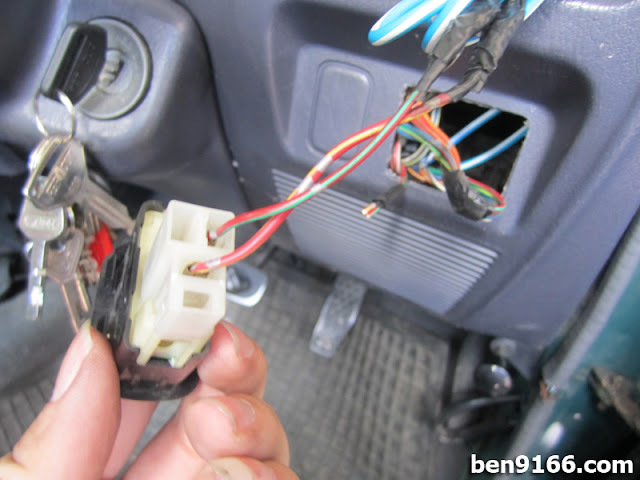 Previously my L2s fog lamp was wired to the low beam wiring where it will ON as long as I switch on the head lamp. This is not what I wish to because I still prefer to control the fog lamp ON/OFF by the switch. This is because I wish to install a set of HID to the fog lamp and I do not want the brightness of the HID glare the eye's of the other road users during normal road drive. It took me about 2 hours to complete the entire installation. The most tedious part is to find out a place to insert the wires from engine bay into the cabin. The tip is try to find a hole at the right side of the firewall. After this, everything is pretty simple as just some normal wiring need to be done. Continue to read the entire post so that you can have a better understanding on how to DIY by yourself and hope this will help those who wish to install fog lamp for their cars. Started the relay wiring. 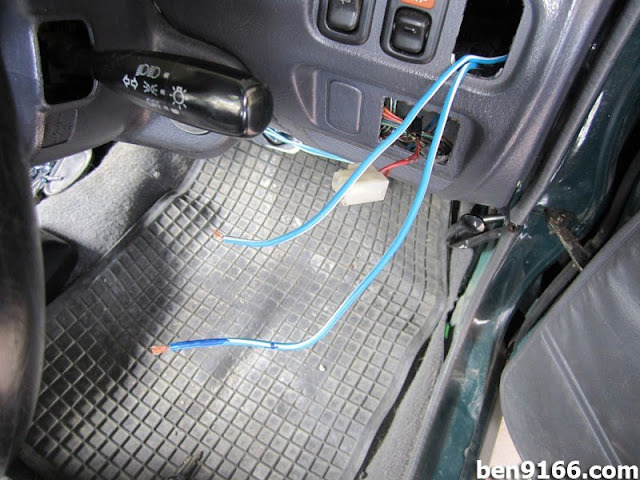 Notice that the wiring were so messy. Back into the cockpit, these are wires I inserted through the firewall's hole. I re-used the original switch. So I need to cut the original wires and tap it back to the wires I insert into the cockpit. Everything done, tidy up the wires and placed the switch back to where it should be placed. Here is the picture where the wiring of the relay is done. Looks better than the previous picture right? To be honest, it is quite difficult to explain how to install the fog lamp by words without picture. So I prefer to draw a picture on how to wire all the stuffs together for better understanding. For the power to the switch, you may opt to choose the power from the head lamp. 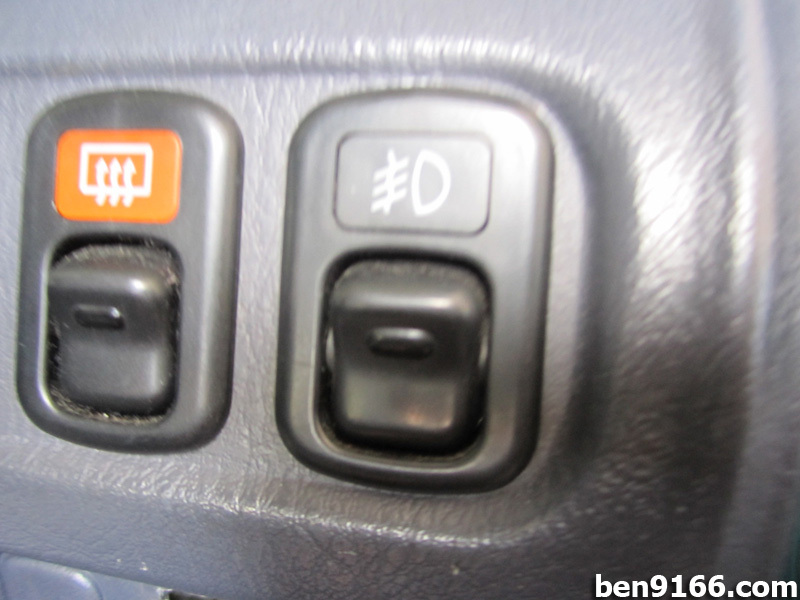 So that you will only able to power on your fog lamp after you switch on your head lamp. Finally, here is the result of the fog lamp installed. Normally a set of 55 watt will draw about 8 amps while the dashboard switch will only draw 0.3 amps. The relay switches the heavy current to the fog lights with big wire, so that you can use small wiring for the dashboard switch. 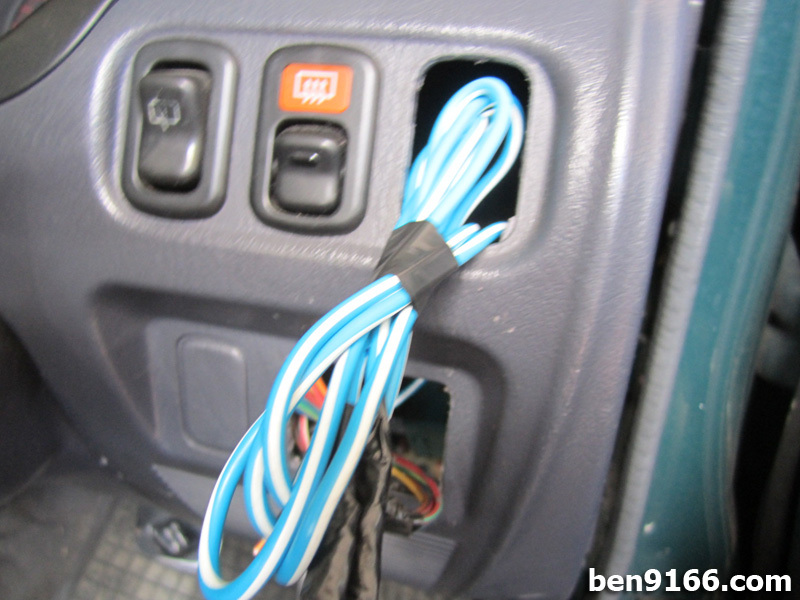 This keeps high current and large wires out from under the dash and in the engine compartment where they belong. Seems all your cars are modified ! It rocks man ! Just to ask, do you think its better to buy a ready modded kancil as compared to a stock kancil, then convert it to turbo? As the price of stock/turbo Kancil are going at the same price..
Yup. I enjoy the process of modifying cars. It depends on what is your budget and what you want. 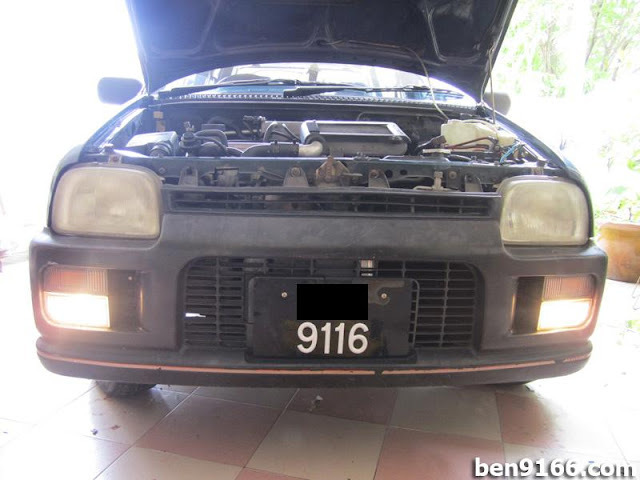 It is better for you to get a ready modded kancil because you can save a lot of hassles like find a good condition halfcut, installation and going through the PUSPAKOM inspection. However please inspect properly before you get the car. Yup, this is L5. I did my conversion at P44 Autoparts. It cost me RM4k++ for the entire installation and halfcut. No, it is easy to pass JPJ and PUSPAKOM. Thanks for answering my question about the relay. Yeah it shouldn't be that hard to pass Puspakom as long as you keep your heavy mods for later. 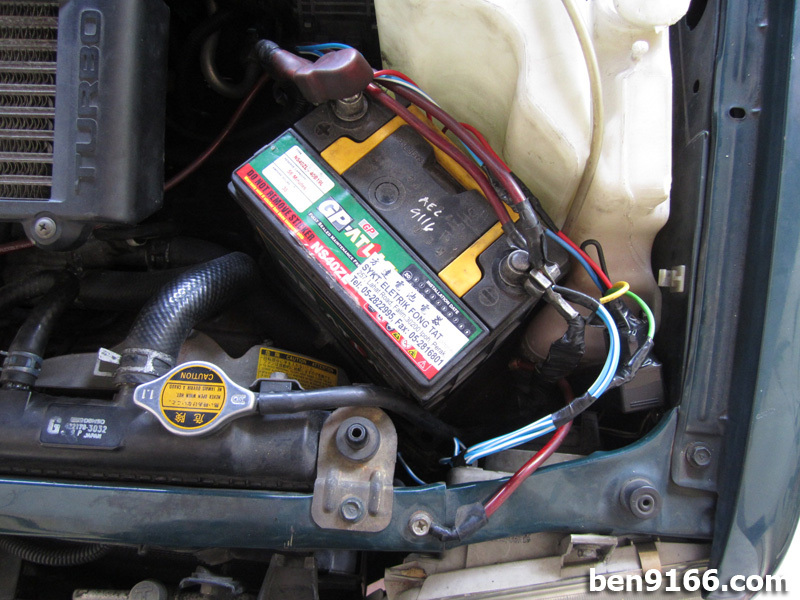 I just converted my car to 4AGE 20v BT last month and have no issue with inspection. After approval, then only I went to mod exhaust and other stuff. Anyway you sure earn a lot as to afford so many modded cars ! Hmm its somewhere near Min Sin primary school there..
Hi Anonymous, Ben is actaully a car enthusiast. Ppl call him "4 Glass Boy". Wakakaka. Wow..u just upgrade to Blacktop ar? What car model? LE, SE, SEG? I am currently using SEG AE100 with Blacktop 6 speed. 4 Glass your head. Go get a set Super Strut from TEIN la. 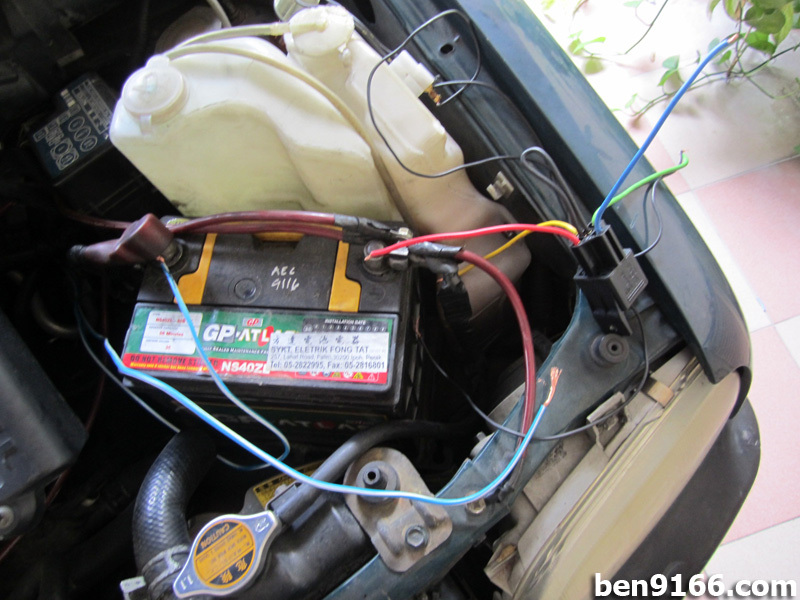 Hye ben..may i know what u put between +ve battery terminal and relay leg 20?is that fuse? Yes, it is a fuse. 1. I want to ask you about the ground..battery,lamp and relay ground is it link each other to body? 2. How big the cable size n how much core? 3. Is the on/off button and cable to relay looping, and connect to positive just like that?